We love the look of this pair of women’s tall skinny jeans with a 36″ inseam. They have a dark wash that enhances your long legs. You can either keep the jeans scrunched at the legs or roll them up for a trendy Fall look. 2T-16T. Visit Tall Clothing Mall for more women’s tall jeans. Sophisticated and luxurious, this silk fern tunic is embellished with an embroidered collar. The fern retro print in earth tones is a welcome piece to move you right in the Fall season. Sizes XS-3X. Hurry on over to Gap.com to save 20% off your order during the Fall Preview Event. To get the 20% off, enter coupon code: FALL at checkout. Discount applies to adult styles only and is valid through August 23rd. If you haven’t checked out Make Your Own Jeans in a while, perhaps it’s time to give them another look. They have some of the most affordable custom made jeans for men and women. At only $49 a pair, you can’t beat their prices. Two years ago I ordered a pair of custom made white jeans. I thought the whole process went rather well and I was satisfied with the product. I think it took close to a month to get the product, so that was the drawback, but it was worth the wait. I’ll bet you didn’t know that they also offer: custom made shirts, custom made suits, jackets, vests, pants, skirts, shorts, and I’ve probably missed some other items! “Each product page has the gender field where you can choose male or female , our designers give the cut to the garments accordingly. For the custom made suits length , one can enter the length field any length he or she wants and if someone wants to give specific armhole measurements they can give it in the comment box of the product page. Feel free to use the comment box to describe any specific measurements you need. Visit Tall Clothing Mall for more choices in Custom Made Jeans. Long Tall Sally has just introduced an exclusive tall leggings brand called “Daddy Long Legs Leggings.” I can’t think of a more appropriate name for us tall women. 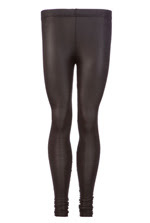 Their tall leggings have a 31.5-34″ inseam length. 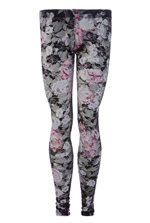 They offer trendy liquid leggings and funky print leggings. Visit Tall Clothing Mall for more tall leggings. 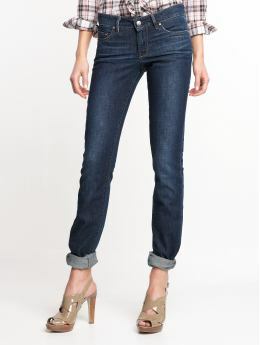 You’ll love the worn in look of this distressed pair of Madewell women’s tall jeans with a 34″ inseam length. They have whiskering at front and behind knee, shredded holes at front and back and heavy distressing. View more women’s tall jeans at Tall Clothing Mall. We have gotten several requests for men’s long athletic shorts. We have created several blog posts about these, but some of the shorts have sold out. Here is our most current list of men’s tall athletic shorts. We recommend Old Navy’s women’s wide-leg tall trousers as the perfect pair of pants to transition you from Summer to Fall. 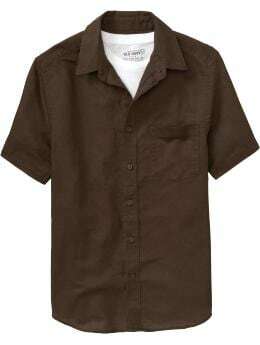 Made of lightweight twill fabric, they are cool enough to wear in the Summer, but dressy enough to work. 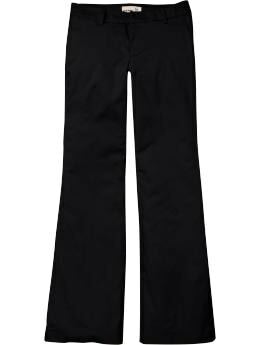 Plus these tall trousers have a 36″ inseam length. Whether you’re in the boardroom or on the dance floor, these sleek, chic trousers are the epitome of versatile vogue. There’s lots of bargains found in the sale section at Tall Clothing Mall. Here’s another deal. Old Navy offers their men’s tall linen-blend shirts for only $12. Don’t you just love free shoes? 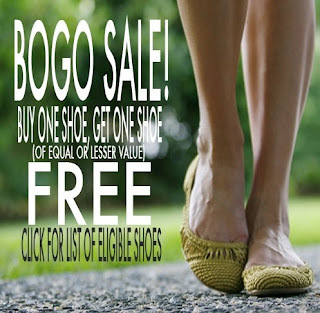 For a limited time, buy one pair of select shoes and get the second at equal or lesser value for free at Barefoot Tess. Write in your free pair information (style, size, and color) in the text box at checkout. Make sure the price of the free pair is equal to or less than the one you are buying.